I have the managerial, leadership responsibilities at the Talent Plus, which is a medium sized enterprise in U.S, the company has managed its functions as the company is fulfilling the responsibilities; it has the human potentials and it is leading talent assessment partner. The company has the scientific methodologies and it focus on to improve its culture, company know how to utilize the strength, and the company has identified the talent and know that how effectively workforce can be managed (Talentplus, 2016). Talent plus is focused on the culture, they value the people who worked for them, the company culture is highly positive; people or employees are hardworking, caring, energetic and are value-oriented. The company is giving opportunities to the workers and helping the employees to shape their career in better ways. There is the focus on wellness; core beliefs include the social responsibility of people, the needs are focused and assistance or guidance is given. Moreover, ethics are being focused the company do promise that it is the best place for the clients, to do the business, they believe in every person as their mission is expand the talent and provide the opportunities to the people, there are mutual benefits. The company is considering that the benefits should be there for the organization and the individuals. The company wants to sustain the talent, as the importance has been known; there is the engagement and development of talent (Talentplus, 2016). 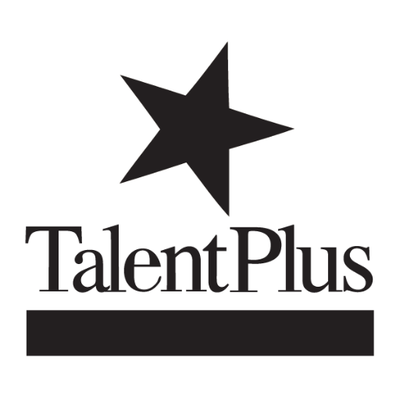 Talent Plus is a compelling place to work, the company wants to protect the people rights and cultures, the employees have all the rights, as the company focused on the mutual benefits, there are legal and regulatory commitments as the leaders have potentials to be more productive so the organizational goals can be meet. Strategic management and leadership have the different ways to organize or deal with the people; however, in management and leadership organization and people or employees are given favors. Strategic management is done for the benefit of the organization and leadership can be helpful in this way to motivate the way to achieve the goals or tasks, followed by management. Strategic management is the management of the set of decisions or the actions, which could be result in the implementation of the strategies; the strategies are designed to attain or achieve the organizational objectives. Strategic management has the aims and objectives; it focuses on the team and group performance. Leadership can be described as the art, which can be used to motivate the people or the group of the people, so that they can become able to achieve the common goal for the organization they are working in, however, the leaders or managers are responsible for the achievement of the goals, they have some responsibilities and duties. Moreover, the leaders need to maintain and monitor the conditions that are important to focus on, for the betterment of the organization. Leadership can be direct and indirect, there are different leadership styles; every leader has his own style to motivate the team. However, leaders are decision makers and love to work with their team, sometimes need their suggestion, focus on the creativity and development. Leadership styles are transformational, participative and consultative and management styles are autocratic, authoritative, dictatorial, transactional, democratic and consultative (POPOVICI, 2012). Leadership can be one’s ability to motivate the others to do work while management focuses on the controlling a directing of the group of people. The people have different entities, which can only identify a leader and leader can tell them that how effectiveness can be achieved in the organization and how they can coordinate. The management only focus on the coordination, that how tasks could be achieved. Moreover, management can be rational, there are focus on the availability of resources, personnel’s, structures, goals etc, whereas, the leadership is brilliant, it understand the people, and their privacy, the leaders can give the knowledge to the team that how they can take risks and make them comfortable in taking the risks. Leadership has the higher levels of imagination and leaders are people oriented while the strategic management is just task-oriented. There is focus on the tasks that they are needed to achieve for the profitability, there is no concern regarding the people. Strategic management make the strategies, which are important for the organizations, there is management of work, the results are focused, while in the case of leadership, there is focus on leading the people and achievements through motivating the people. In strategic management there is focus on attaining the organizational goals through making the policies and methods that are effective, the ideas are given that how the management could maintain and run its functions smoothly, however, the people are empower to share their ideas for the help of management and there are combination of risks. Whereas, on the other hand, leadership focuses on the creative solutions, the problems are focused and possible solutions that are in favor of the humankind or employees can be made. However, there is commitment and motivation; the focuses are on the new solutions or devise solutions. Management is risk averse whereas, leadership is risk taking (Todorov, 2014). In management people are involved because the decisions are needed to take for the organizational goals or to satisfy the company mission or objectives, the people are involved or concerned but they are not facilitate, while in the leadership people or employee are facilitate, because company knows the importance of the people. In the leadership, there is power on the people that they have to attain the goals through charisma and influence, in the strategic management there is focus on the formal authority or position, people or management is more concerned about the position of the people. In the strategic management, the strategies are focused and managers have the subordinates, while in case of leadership; leaders have the followers. Management or people think with mind or head while making or taking the decisions whereas, leaders think form heart or have more appeal to heart. Talent plus is the company which values the employees and have the highly positive culture. The company provides the opportunities to its staff and concerned about them. The company culture is created by the strategic leadership; top management is involved in the decisions. Every company values the culture while taking the effective decisions, however, in the talent plus organizational culture is also consider by the strategic leaders. Every organization is bounded by the culture; the culture of organization have the cultural norms and the values, if the strategies are not followed by the organization culture then there may be changing in the organizational strategic leadership because commitments are needed and there could be focus on the new ways, which can lead the organization towards success factors. Organizations have the primary responsibilities in managing the strategic functions, in the culture of organization, it is necessary to give the rewards on performance and through rewards; people of company could be encouraged. While making the strategic leadership plans the reward system need to be consider so the employees’ performance can be good or effective and collective focuses or effort could be done. The culture of the organization play an important role in the organizational values, as it can help the employees to find out the purpose of their work, moreover, the individual efforts can be linked with the organizational cultures, it play an important part in management of the strategic leadership. There are benefits of considering the culture or values, example, one organization can be separated from the other organization and there could be a sense of identity, however, the strategies focuses on the people, to keeping them together and help to shape their behaviors and attitude towards the organizational culture. All the employees have rights in the talent plus, the company is concerned about the employee’s protection, this is the reason that talent is being identified and organization is committed towards its goals. In every organization, there are need of the laws so the organizational and employees can be protected, the laws regarding the safety of the employees can provide the benefits to the company, however, the laws related to the equality, diversity, cultural differences or discrimination are needed to be consider in every organization. The policies need to be implemented for the benefits and profitability because when the employees know that they are safe in their organization and their organization care about their rights their effectiveness towards performing the tasks increases and effective outcomes will be there. Moreover, the employees in the talent plus are also performing good because there is fairness, the evaluation of the employees is done on equality. Employees are talented as the recruitment is done with fairness; talented people are given chances in the company, so their skill could be enhanced, there is no biasness within the company (Talentplus, 2016). If employees know that they are free in the organization then they respect their organization and work hard to achieve the objectives or mission and when they can complaint, if they face any problem, then they can perform better and trust the organization. However, the legal status of the organization, also affect the culture and the finance, many of the benefits could be there if the people know about the policies that are in favor of them. The benefits could be attained like, structure of the charity, company could about the equity or debt finance; the spending. The social enterprises can be benefited or structured as the companies and guarantee could be also be there. Every organization need to concern or focuses on the social practices, this is important for the company and the stakeholders that are associated with the company. The companies or businesses nowadays are focusing on the emerging social concerns; if the organization focuses on the social practices then it can, has the more advantages other than other companies. For the competitive business environment, it is needed to stay updated with the social environment. Strategic or formal decision-making may help the organization to reduce it risks in the external environment, as the company can become known and can able to show its best. However, the decisions for the social concern or practices need to be considered. The companies who are focusing on these factors are getting advantages in the industry and the employees who are focusing on this creative approach are given the rewards or appreciation in the companies. There is need to be creative because creativity is important in the modern world and companies become able to survive in the market, for the profitability creativity with social concerning, activities need to be consider. However, in the company talent plus, social environment and factors are also concerned, the company is focused on the talented employees so the creativity and effectiveness could be there. The company is giving benefits to the communities; they are having or feeling the social responsibilities, company is doing efforts and doing fundraising in the meeting and events, the company is showing the dedications so the consumers and employees stay motivated for the company. The effectiveness is there, they have Good Neighbor Community Centre and Food Bank of Lincoln’s foe the benefits of the society (Talentplus, 2016). Moreover, talent plus believes in giving benefits to the surroundings, they wants to give benefits to the communities, however, they are focused to expand internationally so the benefits could be there for the people, the company is feeling the social responsibility and enabling the talented people so the culture or society can be build better. The company has identified the importance of social concerns, the company knows through giving benefits to the communities; the ultimate benefit can be there for them. However, it is the company mission to cover the nation, regional and international region, the company is concerned about wellness not only of their people or employees but of the community as well. The company is paying attention towards the strategic managements and decisions. Transformational leadership is one of important leadership theory. It works on the principle of inspiring people towards work with inspiration and personality of the leader. This theory assumes that employees provide higher performance with positive motivation. It is assumed in the theory that employees inspire by the leaders. This theory of leadership appeals the self-acquisition needs on the Maslow hierarchy (Ray, 2013). It is assumed in the theory that energy and enthusiasm are important for competition of tasks. In this leadership style, the leader works with the team members for creating innovation and enthusiasm in the work. The transformational leader plays a role of a role model in the organization. This style of leadership can be applied in the different situation. Leaders at talent plus use different leadership styles. This style has applied in this organization in the case of conflict resolution. Once, two team members engaged in a conflicting situation in the organization. Transformational leadership style played the important role in resolving the conflict (Saeed & Niazi, 2014). Transformational leadership listens to both employees and provides them the solution to the problem. Team members respect their leaders and they feel proud in respecting the order and direction of the leader. There are advantages and disadvantages of transformational leadership style. This style of leadership is best for creating innovation at the organization. Self-motivation is important for improving performance and efficiency of the employees. Followers ready to work due to an inspiration of the leaders. Transformational style of leadership may be risky for the business. These types of leaders accept risk for innovation. High risk can be dangerous for the business. Transformational style of leadership may not go fit in all situations. In few situations, employees need direct supervision and command for completing their tasks. Another disadvantage of this type of style is the overemphasis on the few people. This theory is difficult to apply due to its difficulty in applying. Transactional Leadership is another leadership style. It is based on commands and supervision. In this style of leadership, employees are motivated by rewards and punishments. A clear commands chain is required in this type of leadership for running the organization (Neider & Schriesheim, 2002). Employees are given the direction and responsibilities by the leaders. Employees fulfill these responsibilities with care. They have to fulfill their responsibilities as per the direction of the employees. This leadership style can be applied in the situation like in a company in order to control the lower level labor. They should be given the clear set of commands and instructions. This leadership style is good in case of controlling unskilled workers. Unskilled workers require clear responsibilities. They require rewards and punishment for completing their responsibilities. Transactional leadership is good for controlling employees. This style of leadership is important for unskilled workers. This style can be applied for controlling employees who do not want to work. They can be motivated towards work by providing punishments and rewards. This style of leadership is beneficial because employees get clear goals and duties from the leaders. This leadership style is also important for increasing the performance of the employees. Employee’s performance can be increased by providing incentives to the highly performed employees. This style of leadership reduces the ability and creativity of the employees. Employees depend on their leaders for directions. This style of leadership is not applicable in the place where skilled employees are present. This leadership style may create a complex working environment. Employees cannot perform with the spirit in this type of working environment. This style cannot be applied in all organizations. It can only be applied for the lower level of staff. Leaders have to identify that what style would be efficient for the situation. A leader should have multidimensional skills. He should use different styles at the different level. This style of leadership may increase the employee’s absentees and dissatisfaction with the job. This style of leadership creates rigidity in the organization. It also reduces the creativity of the leaders. In this style of leadership, only employees are blamed for the wrong work. There may present communication gap. Employees may not be able to improve their skills and capabilities in this style of leadership. Situational leadership is another style of leadership in the organization. This theory emphasized that leaders should adapt the change in them with regard to different situations. This theory states that no single style applies in all situations. Leaders should adapt the style as per the given situation (Buzzle.com, 2016). A leader should have the skill of flexibility. This theory states that mix set of styles are required for performing the work. This style of leadership is important in a challenging environment. For example, if a leader is controlling a different type of people in the organization. This theory states that different employees with different personalities are present in the organization. Different leadership styles are required for them. This leadership style is best for motivating people with different motivational techniques. Situational leadership is best in the organization where diversified employees are present. This leadership style is good in a place where different strategies have applied. Organization accepts different challenges on daily basis. This leadership style can increase the creativity of the employees. This style of leadership is good for improving the performance of the employees. Employees can be motivated in different ways. Situational style of leadership is applicable in today’s changing environment. Leaders in today’s organization are subject to have different skills and capabilities. Flexibility is important for success in this world. This leadership theory also has few disadvantages. It is considered a management technique rather than a leadership style. For example, a manager may apply the specific style for solving a problem in the organization for the short time span. Few situational factors affect the success and failure of the leaders. This method can work for short term. This leadership style also put pressure on the leaders constantly. Leaders have to analyze the situation before making any decision. It is essential to apply different leadership styles in the different situation due to change in employee’s perception and behaviors. A leader should apply appropriate style for improving the employee’s performance and organizational productivity. An autocratic leader is a leader who has control over all the decisions and there is only very input from the members of the group, autocratic leaders have a control over a group. Their decision can be good or bad sometimes, there are some benefits and some weaknesses while using this leadership style. In the characteristic of a autocratic leader there can be no or little input from the group members, leaders have power to take the decisions, group members are rarely trusted, while making the decisions. It is a strong leadership; the decisions can be taken effectively and efficiently by the leader, there are chances of good performance because decision can be taken by the skilled leader. However, this leadership styles can be problematic for the company and the employees because, leadership can be bossy and there are chances of less effectiveness as the decision is taken by authority. In some cases, group members may feel less important for the organization and leader and thus their effectiveness can be affected because they are not given the value, group members can also be dissatisfied with the leader or the decision he has taken. In quick decisions leader may not think from all the aspects, which are important and needed to be think from the employees or group member’s point of view. In my opinion, autocratic leadership style is less effective and based on this reason company talent plus is using strategic visionary leadership (Talentplus, 2016). Visionary leader can be a strategic planner, as they have many qualities, they influence on openness, conviction, persistence and imagination. They have the degree of openness, they take the decision based on future, they ensure the competitive advantages, and they want success, as they can be senior leaders so they believe on motivating the employees, they wants to give benefits. They lead the company or organization in a better way; they focus on strengthening the relationships with the group member, they operate the organizational factors or operation considering the external environment. The leaders are focus on sustaining the business they have a vision for the organization they are working in, they wanted or have the necessary knowledge, which can be helpful for them in the future; however, they may focus on achieving the long-term goals. The leaders have the complete knowledge about the organization and the people because they are focused on the individual needs, which can be occur in the future, the present needs are also focused. The leaders are making the plans, which can be, consider important and which are the benefits and can be effective for the company or organization. In a company talent plus, leaders are focused on the visionary leadership as they wanted to reach the organizational goals, they have the passion and they are inspiring the team and dealing with effectiveness. Talent plus changed its leadership strategy from autocratic to the visionary after facing a critical situation regarding employees dissatisfaction and low retention rate. Autocratic leadership style is the leadership style in which leaders rarely get input from the other members of the group. Leaders have the power to make the decisions regarding the organization. This leadership style is effective in the case of making the decision by the single individual. Due to this leadership style, talent plus was facing critical situations. When it measured the employee’s satisfaction level, it was very low because employees were not given any opportunity of making decisions. It was not satisfactory for the employees. They were not motivated towards their goals due to this reason. Leadership style effects on the motivation level of the employees. Another problem facing the company was low retention rate. Employees were leaving the organization from their dissatisfaction. They were leaving due to their low motivation from the leader. In the autocratic leadership style, leaders make all decisions and he identifies the method and process of the work to the employees (Cherry, 2016). Employee’s resistance in this style is given importance. This was the reason of employee’s low rate of retention. In order to resolve this issue, leader’s style has changed. The leadership style has changed from autocratic to the visionary. Visionary leaders inspire others through their actions. They make a vision and implement it in the organization. This leadership style is common in improving the performance of the organization. A visionary leader inspires others for getting things done. A visionary leader motivates others towards the work. This leadership style is important for the progress of talent plus. Talent plus now has high-quality employees due to its leadership style. Employees leaving percentage is also low in this company. Now talent plus is using the strategy of visionary leaders. Its leaders are working with a clear vision. They communicate the vision towards the employees. Visionary leaders in talent plus are providing inspiration to other employees. They are inspiring the employees for completing the goals of the organization. These leaders have passion as well as the desire of achieving the goals of the organization. They are working with their members for the success of the organization. These leaders are helping to establish a clear set of instructions for the employees. Visionary leadership style is providing a competitive advantage to the firm. This leadership strategy is best for the internal and external environment of this company. This leadership strategy is taking the organization towards the employees and customers satisfaction. Employees are given training and development. Employee’s motivation is helping to achieve the high performance of employees. A leadership strategy should reflect the organizational vision. It should reflect the values and culture of the organization. It should also reflect the values and goals of the organization. This leadership strategy is providing directions to the talent plus. Other organizations should also select the leadership strategy as per the requirement of the company and its employees. Leaders should have multiple skills. They should use different styles of leadership. They should design their organization as per the current operational environment. Neider, L. L., & Schriesheim, C. (2002). Leadership. IAP. POPOVICI, V. (2012). SIMILARITIES AND DIFFERENCES BETWEEN MANAGEMENT AND LEADERSHIP. ACADEMICA BRÂNCUŞI (2), 126-135. Ray, A. (2013). Important Leadership Theories in the Realm of Management Sciences. GRIN Verlag. Saeed, T., & Niazi, G. (2014). “Leadership styles: relationship with conflict. International Journal of Conflict Management , 25 (3), 214 – 225. Todorov, K. (2014). Handbook of Research on Strategic Management in Small and Medium Enterprises. IGI Global.